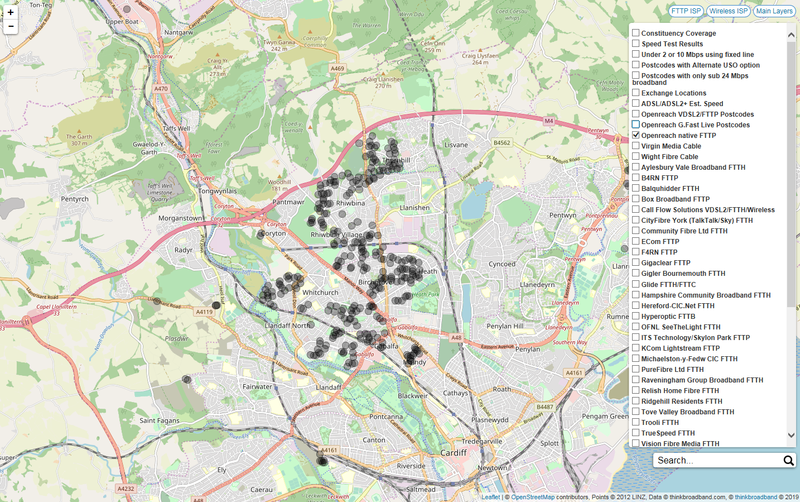 The Whitchurch area of Cardiff is the most complete Fibre First style footprint we have seen so far in the Openreach roll-out and a mini milestone has been reached of 1 in 20 (5.28%) of premises in Cardiff now having a full fibre option via the Openreach network. The FTTP roll-out in Whitchurch does overlap in a number of places with the G.fast pod based roll-out and our current count is some 2,030 premises have a choice from all three of the technologies VDSL2, G.fast and Openreach FTTP. Cardiff City as a whole has a G.fast footprint of 19.45% and once you combine the various other full operators the number with a FTTP option rises to 1 in 11 i.e. 9.41%. The latest percentages will push out to our coverage stats site on Friday 1st February and once we see FTTP roll-out in other exchanges areas we can expect the FTTP figures to climb. 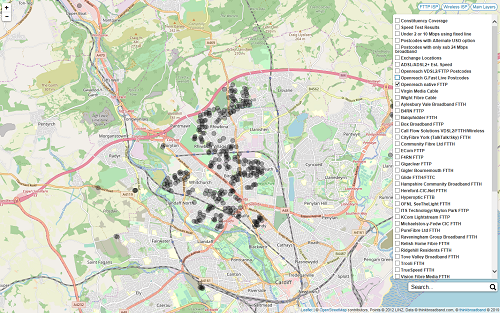 In other news we have added a number of G.fast pods in five exchange areas to our coverage checker and the areas are Bearsden, Drumchapel, Foxhall, Penarth and Washington taking the UK G.fast footprint to 1,418,646 premises. The postcode checkers are up to date with the live pods we can find in those five areas, but the highest level zoom on our broadband maps is still being rendered. Nice to see the full covered area is now active, but odd the EO area along North Road has been missed so far. The part below the railway line is Llandaff exchange so now live in more than one exchange area. Installation work has already moved to the next areas to be done. All the (massive) new build along Llantrisant road is FTTP as well but the new postcodes will only appear in the next file release ( apart from the 3 you already show). Wrong, the area south of the railway is still Whitchurch exchange. Llandaff hasn’t been started yet for FTTP, keep an eye out for Grangetown lots of activity there. Unknown, thanks you learn something everyday, confusing having two premises on cab 13s next to each other but on different exchanges! Gabalfa Road in Llandaff cab 13 and River view on Whitchurch Cab 13. Seen the activity in Cardiff Empire exchange but thought it would be a couple of months to completion unless they bring small areas live unlike the mass turn on in Whitchurch.